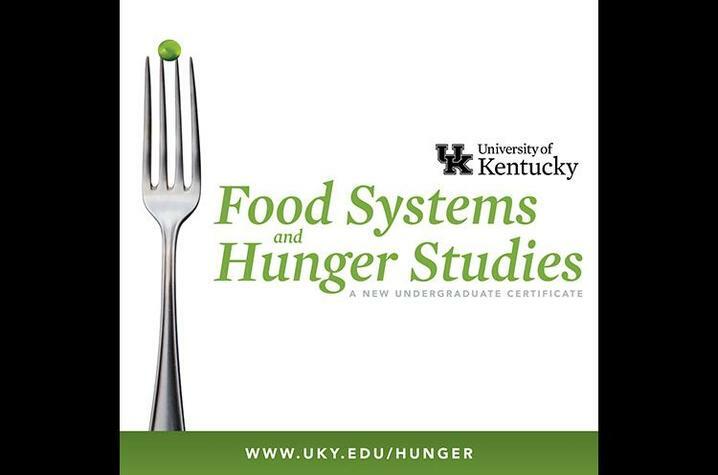 LEXINGTON, Ky. (Sept. 28, 2018) — University of Kentucky students can now receive a certificate in Food Systems and Hunger Studies. The undergraduate certificate is offered by the UK College of Agriculture, Food and Environment and is open to any undergraduate UK student, regardless of major. To receive the certificate, students must complete 12 hours of coursework that includes food systems and sustainable agriculture, hunger, food behavior and the environment. Through a cross-disciplinary approach, students will learn about the impact of food systems on food security, hunger and the overall health and well-being of a community and apply that knowledge to develop strategies to help end hunger. In addition to Stephenson, Krista Jacobsen, associate professor in the Department of Horticulture, and Amanda Hege, director of community outreach for the Department of Dietetics and Human Nutrition, coordinate and teach courses as part of the certificate program. Interested UK undergraduate students pursuing any major can receive more information and enroll online at https://hunger.ca.uky.edu/.